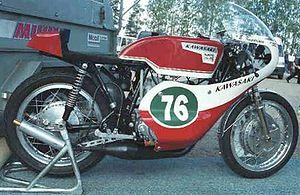 The Kawasaki A1R was a 250cc roadracing motorcycle manufactured by Kawasaki from 1967 through 1968 and built off the Kawasaki A1 engine. It had 12 more horsepower than the stock A1 produced by the twin expansion chambers, utilized forced lubrication, but in addition oil must be mixed into gasoline. In the All-Japan Championship the A1R finished 2nd. In the 1967 Singapore GP the A1R finished 2nd and 3rd. 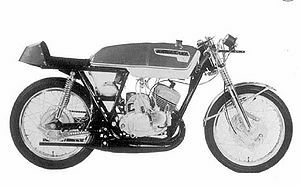 The A1R currently can participate in AHRMA sponsored events in the Sportsman 250 Class which is 1974 and earlier machines up to 250cc, including like-design models. This page was last edited on 26 August 2010, at 17:59.